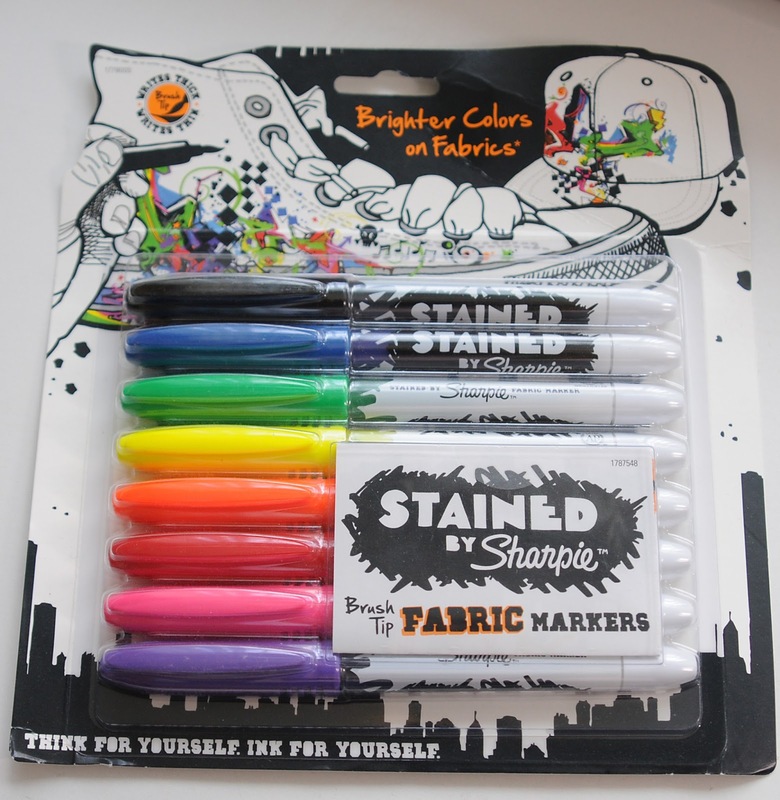 Yes they are Sharpie markers, and they are made for fabric! I thought, why not try drawing with them in the Silhouette? So I did! They fit in the Chomas Creations adjustable marker holder. 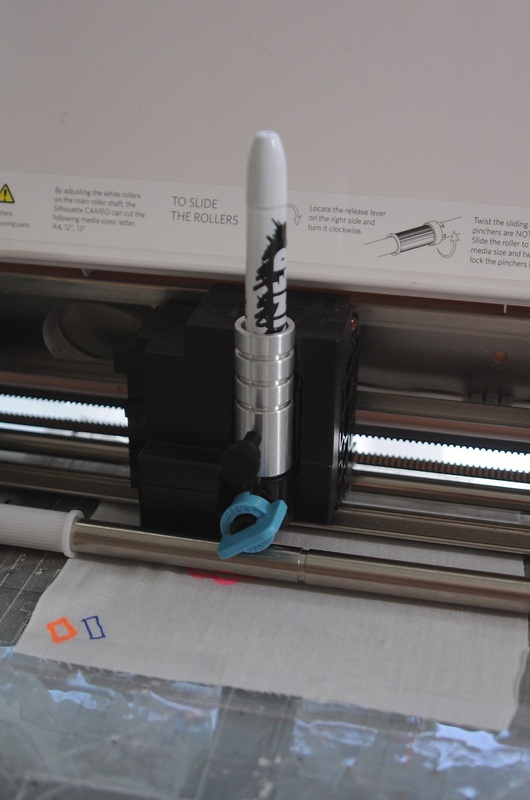 You have to make sure you are using a sticky mat so the fabric doesn't move or bunch up. The directions say they are machine washable on cold, and you should hang dry. I drew this flower and then colored it in with different colored Sharpie Stained markers. 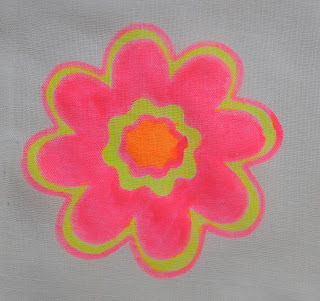 I left my fabric on my mat for coloring, it was easier and didn't move on me. I had to play around with my settings. 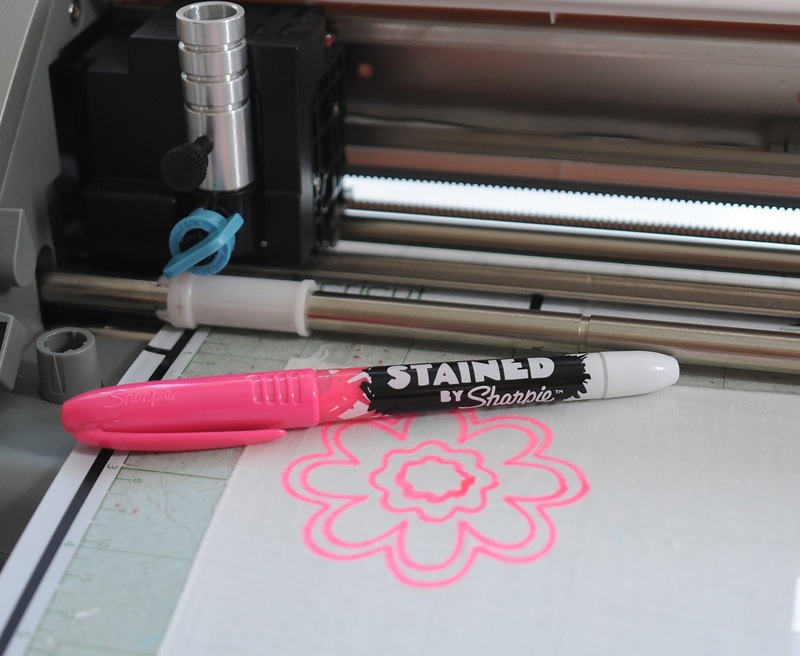 The faster speeds left a thinner line (think 4 or 5, not too fast) while the slower speeds left a thicker line (1,2,3). This was just me playing around! I used a thickness of just 1. Don't want to much pressure, these are brush tip markers. The top 2 fonts on the left are some thin fonts from Lettering Delights. Want to try this out with your Silhouette machine? 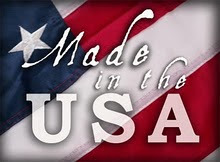 Use the coupon code july13 at checkout in the Chomas Creations store to save 10% off your purchase! 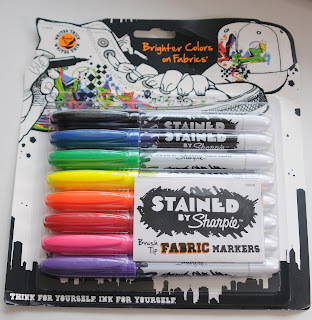 I saw these markers last summer in Staples and wondered if they would work. I just never got around to trying. Thanks for trying for me! 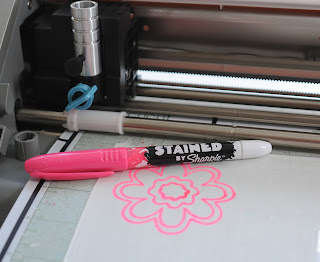 They will work with the Cricut adjustable marker holder in the Expression 2 and Cricut Mini. They are too long to fit in the rest of the Cricut line.